Ganoderma Lucidum or Reishi is also known as King of Herbs. In order to be known as King of Herbs, it has to have some qualities that aren’t commonly available in other herbs and because this has been found to be true Reishi Ganoderma Lucidum is also called ‘King of Herbs’. 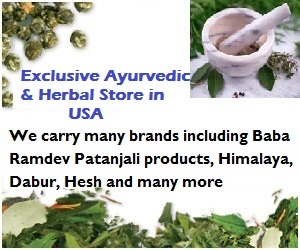 Herbs are plants or their produce, which are naturally found or cultivated. Even most fruits, vegetable and spices that we use in our day-to-day life are known to have therapeutic value. Therapeutic means medical properties that can be used to cure a disease or body disorder. These home based herbs too are effective and work wonderfully in many health related problems, that is why they have been used as home remedies for centuries. Most of these home remedies or herbs have limited therapeutic property as well as quality and quantity, which isn’t superior enough or comparable with Reishi Ganoderma Lucidum or King of herbs. Adaptogens are herbs that provide strength and stamina to body system and help it in relieving stress. The King of Herbs Reishi Ganoderma Lucidum is well known for its adaptogenic properties. An adaptogen is non toxic in nature which means its safe to eat. An adaptogen enables body to develop its self-help defence system and resist against harmful agents whether physical, chemical or biological in nature. King of Herbs Reishi Ganoderma Lucidum provides a whole spectrum of vitamins and minerals to our body. It contains potassium (K), Magnesium (Mg), Calcium (Ca), Germanium (Ge) beside other essential micronutrients along with vitamins and minerals. All these nutrients are easily absorbed by our body system because they are naturally available in Rieshi Ganoderma Lucidum and therefore have a simple structure. Although there are a number of herbs that are known adaptogens or have a high nutritional or therapeutic value but Reishi or Ganoderma Lucidum shows all above properties in combination, naturally that is why Reishi Ganoderma Lucidum is called The King of Herbs. Thanks for giving the on of the best herb which has many uses in diabetes.